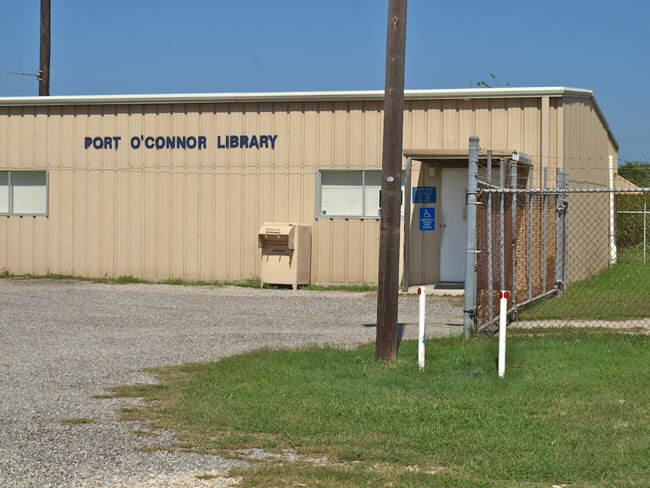 Port O’Connor has a branch library located right in the middle of town next to the Fire Department. Shirley Gordon is the librarian and a Port O’Connor local. This is the Place to Rent. Just a few Blocks to the Beach. 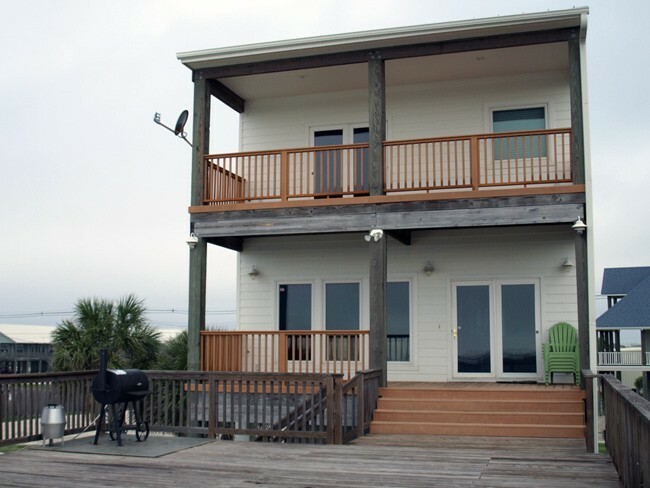 Enjoy the view of Port O’Connor from the two upper level decks surrounded by Beautiful Oak Trees. This 6 Bedroom / 5.5 Bath has 4 Master Suites. Nautical decor and views from this aquatic delight will charm even the crusty old salt in your group! The well appointed kitchen with 6 burner cook-top and 2 sinks make cooking your catch a dream come true. Private lift stall with additional dock space for a 2nd boat round out the package! 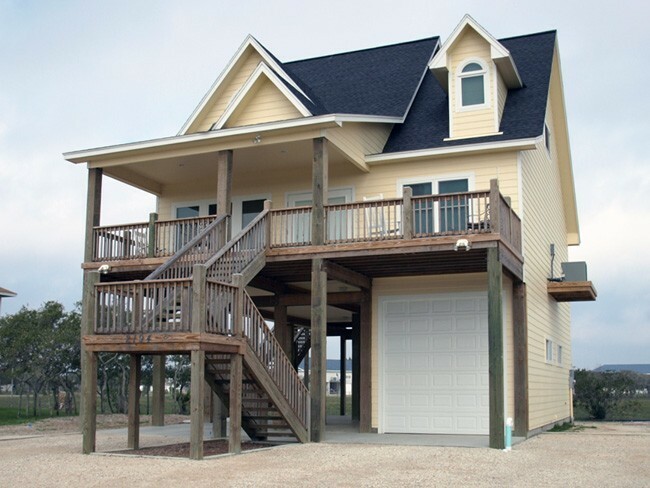 NOTE: This Unit is a ‘Vertical Duplex’ Arrangement – Separate Entryways for Upstairs and Downstairs. The Rental of just Part of this Arrangement DOES NOT PRECLUDE the Other Part from being Rented. Cozy Cabin with the Perfect Set Up for a few or more! Very nicely appointed for all the comforts of home. Living area has 2 double futons just in case another friend joins in. A place for you, your friends and your boats. Pets Welcome, Additional Fees Apply! Top of the line unit with exceptional views (even from the master bath!) – close but not too close to Froggie’s Bait Camp and the Public Boat Ramp. 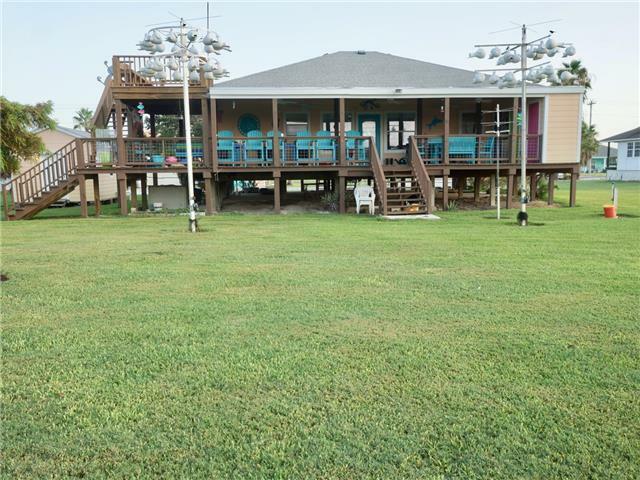 60′ pier has t-headont the ICW for fishing fun, but just in case, the Owner’s have provided wi-fi internet access if you must crack open the lap-top! 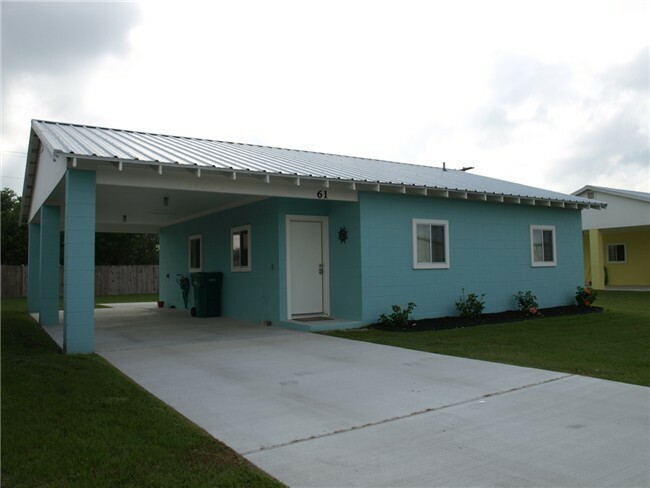 2 units are available to best accommodate diverse groups. 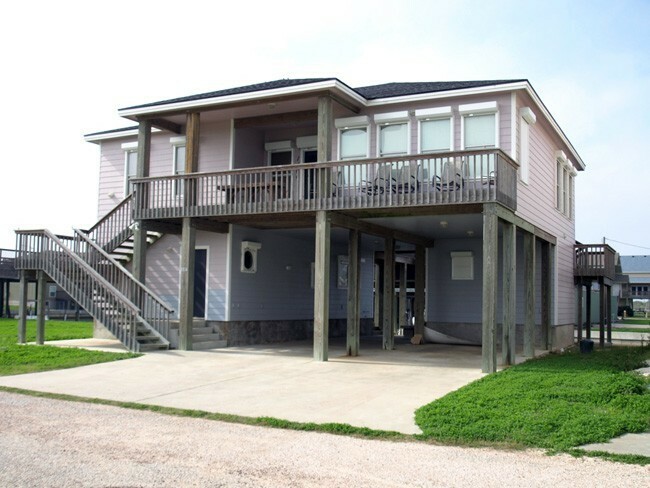 This bay house is the perfect get-away whether you need to unwind after a hard day’s fishing or hunting, or simply want to relax and enjoy the benefits of a coastal town. The ” Bungalow ” sits on a large lot in a newer, well-maintained neighborhood, with just enough steps up (9) to enjoy the view and bask in the coastal breeze. The NEW Tennison House. All NEW Stuff! 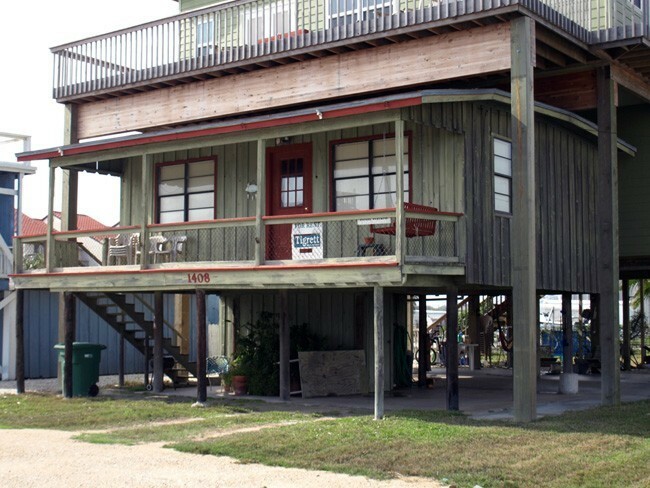 Enjoy the hustle with out the hassle – your own private space near one of the more active boat ramps in Port O’Connor! Small but functional, the best thing about this fishing cabin is the location. 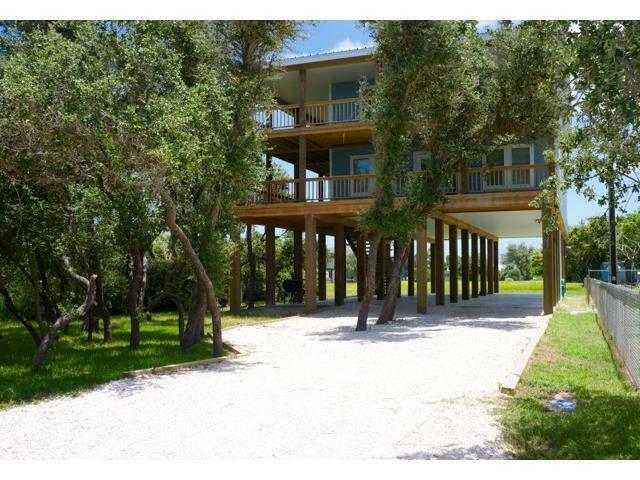 Enjoy the fantastic views of Port O’Connor from the deck of this 4 bedroom/3 bath custom home. Plenty of parking for your boat and your guest. Paved Patio area with Fire Pit. New to the Tigrett Line-Up. One of a Kind! 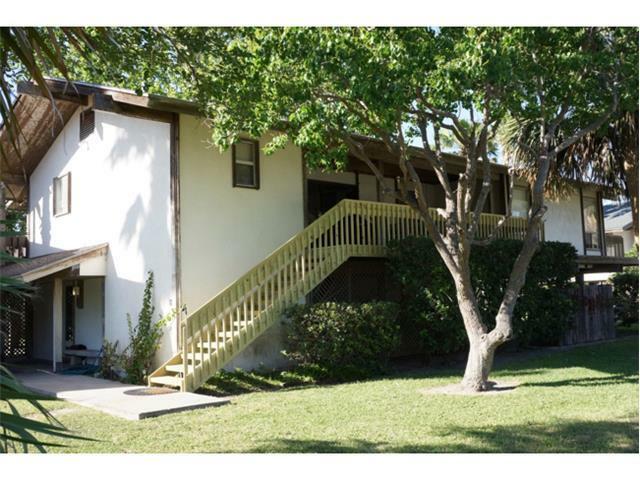 This Studio offers a spacious upstairs 1-1 arrangement. This Studio offers a deck for relaxation and enjoying the views. Close to the Front Beach! New to the Tigrett Line-Up! 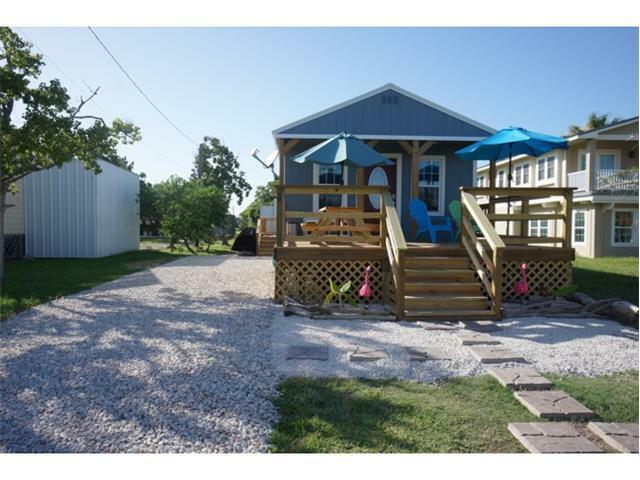 Newly Constructed 2 Bedroom 1 Bath Cottage in walking distance to Kingfisher Beach and Pier. The Port O’Connor Library is open five days a week. It is located at 6th and Adams and has a nice selection of books. Shirley Gordon, the librarian, works hard to make sure that popular new releases are available. The library also has a wide selection of children’s books. Library hours may vary. To reach the library, call 361-983-4365.